On the way looking for a new affordable 5GHz router I found the inexpensive and good-looking Xiaomi Router 3G. With its technical specification it fits to my needs at all. Unfortunately I am unable to read and understand Chinese. Moreover I would rather like to rely on a more open-sourced firmware. With alternative firmware and TP-Link routers (preferred for use with Freifunk running OpenWRT) I already gathered great experience in performance and stability. As Xiaomi enthusiast this is another addition to the wide range of Xiaomi products you are already owning. You neither touch the package nor let other people grab it. Unboxing videos of Xiaomi products are torture and pain to you. So you leave it as it is – securely locked in a room, supervised by latest Xiaomi cams and a radio-controlled Xiaomi toy robot that fights all intruders. I prefer way number 3. Good hardware value for the price. 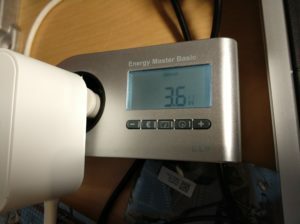 Compared to current TP-Link routers (12V 4-5A), the power supply is rather small-scaled. It consumes around 4 Watts which is great for the price and the processing power. Other comparable WiFi router with similar specs are with 11 Watts greedier concerning its power consumption. If changing the webinterface language is not enough for you and you do have a little experience in flashing firmware to router devices, you are right here. As time of exploring, I was lucky to be right 2 minutes after “hammer” smashed his nice tutorial on the LEDE forum to give a like – Thanks to all members, especially dissent1 who added the device! And another form to fill in the router webinterface password – I did not take a screenshot here. Click on the upload form and select the firmware file. Flash miwifi_r3g_firmware_c2175_2.25.122.bin and wait a few minutes. 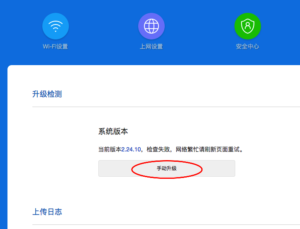 Open “Mi Wi-Fi” app (and sign-up) and sign-in to your account. 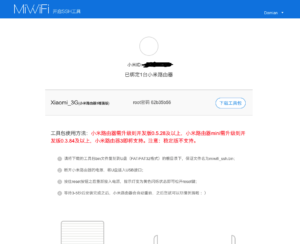 Router will be detected and added to your account (assuming you are connected to the WiFi on the router and the routers WAN port is connected to Internet. 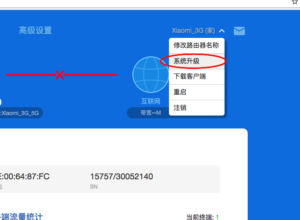 I just plugged the WAN to my FritzBox router and connected the phone to the Xiaomi WiFi). On a PC, visit http://d.miwifi.com/rom/ssh11 and sign-in to you account. You will get to a page that should display your router, the root password and a download button to the right. Agree the download with the right button to download miwifi_ssh.bin. I received some crude 502 gateway errors. Tried some times – works. Power off the router, plug the USB drive in the router, press and hold “reset” button (with a paper-clip), power on the router (while holding reset). When the router starts flashing yellow slowly, release the reset button. Wait until router has rebooted and you should (finally…) have SSH access. After logged in successfully, use passwd to change the root password. I followed the instructions above, everything ok, but I cannot acces 192.168.1.1 in browser or via SSH (yes, I am using LAN port on router). So I booted fail safe mode, SSH, factory reset. Now I can acces it via SSH in normal mode, but still cant via UI on browser. Is there any way to fix this, or to revert back to xiaomi firmware? Thank you wery much for every answer!!!! Have you installed LUCI ? 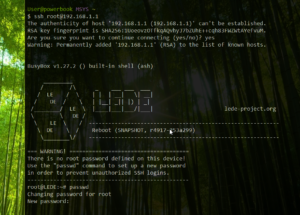 Hi, I also could not connet after SSH flash finished and reboot. 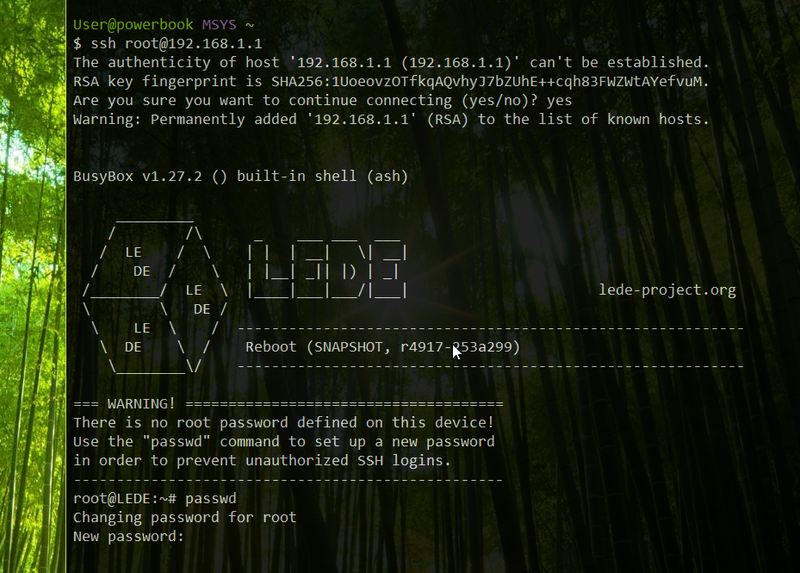 In my panic I pressed reset button but now I cannnot connet also on SSH or Telnet. I know how to get into failsafe mode than blue led is blinking very fast. I gave a static IP but still no connection to the 3G router. Please help! I need some help, I met all the steps, until 18, restart the router, but I do not have access either by SSH or the web, it connects me rejected. I am testing 192.168.1.1 accordingly, and even the dchp assigns me an address of that range. The ping responds, but rejects all access, what can I do? a detail, the files of point 3 are no longer called LEDE, but openwrt. can you help me? Thank you. I have followed the steps in this guide but eventually after flushing I could not connect to the router via ssh. I have tried to boot into the fail safe mode and do the factory reset and it worked. Now I could access the router. How did you do that? I know failsafe mode is when blue LED is blinking very fast, right? What did you do than? In failsafe mode I also could not connect to Mi 3G router in SSH or Telnet. Please help. How did you do that? Please answer. Try connecting to LAN port not WAN port on the device. How can I revert back to the Xiaomi image? What can i do when the url in step 14 is not available? Is there a way to skip this step? they redirect anyway to port 8080 but seems like its fluctuates from day to day to SSL or non-SSL traffic. So is there an english version of the 3G router or not? You can switch from open wrt to Padavan? Make attention to use https and not only http. The http server doesn’t work anymore. Do you know how to be back to stock firmware? I used the wrong firmware for router 3G. So now, router 3G reboot indeterminate. What can I do now. I like your guide! Does the router 3 and 3g use the same firmware? 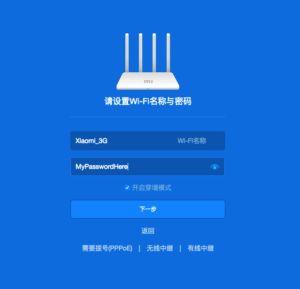 The video shows the change of language for a xiaomi router 3.
thanks for asking – you are right. 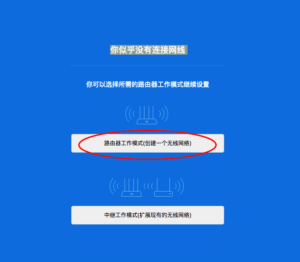 You can’t use the Mi Wifi router 3 firmware for the Mi Wifi router 3G. 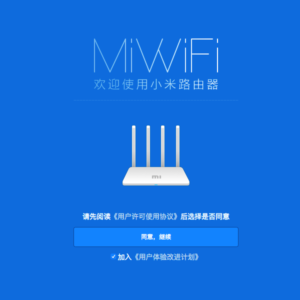 International firmware is available for the Mi Wifi Router 3 only. 🙁 I changed the post accordingly and removed the youtube link. I just checked it on the Router 3 which I am also running. Until its release in Hong Kong, there won’t be an international firmware available. Hmm my comment wasn’t approved? You don’t have to be that rude if you don’t want to help, anyway still a nice guide. Hope you can consider my request. there was no intention to block your comment 🙂 that was done by the anti-spam system. I will play around a bit over the next weeks. Maybe I will have a look at padavan! If you still want to use LEDE, make sure to set a proper WiFi channel (for 2.4 and 5GHz) and to apply the right country code. Wow thanks for your reply, looking forward to that guide. I might not consider LEDE, the interface looks very complicated and not user friendly. I want a simple interface with advance features and in English =), which Padavan might support. Very nice guide and noob friendly, can you also post a step by step guide for a Padavan firmware? 4pda have a guide and a video but its all in russian. Hope to see an English guide like this. Thanks!